Pizza Personality | Are you going to eat that? I recently bought Serious Eats: A Comprehensive Guide to Making and Eating Delicious Food Wherever You Are and found myself drooling over the section on pizza. Add to that my classmate’s recent blog post about (Pi)zza from St. Louis, and it really is no surprise that my dreams were filled with pizza possibilities. I don’t own a DVR and I’m not quite sure what that abbreviation even means. 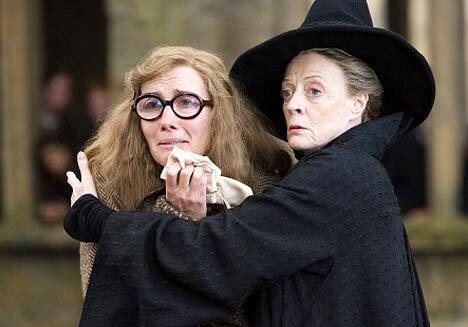 Downton Abbey is lovely, but I prefer to enjoy the talents of Maggie Smith (AKA Professor McGonagall) during my own personal time. Alone. My friend makes excellent pizza dough. I really did want to catch up… on her pizza-making skills. After some debate and discussion in the aisles of Whole Foods, we agreed on an ideal combination of ingredients. We each made our own pizza with the same ingredients, and the masterpiece finale was rather revealing. My friend likes her food in proportions. When there are multiple food items on her plate, she likes to make the perfect bite with a little bit from everything. All in proportion. I, on the other hand, like to shovel food in my mouth. When there are multiple food items on my plate, I like to mix everything together. I’m less concerned with proportions and having the perfect bite than flavor and having the perfect taste. We compared our pizzas, made with the exact same ingredients, and found a few differences. I shaved my goat gouda while she grated hers. She tore apart her olives while I threw mine on whole. I had big chunks of broccoli florets while she had diced her broccoli into miniscule bits of nothing. Her chorizo was evenly distributed over the entire pizza while mine was haphazardly smashed down. Could pizza, more specifically our eating preferences, be indicative of personality? My academically sound research involved a Google search on “eating habits”, “personality”, and “what does eating like a monster say about my personality”. Most of the results focused on diets and healthy eating, but two stood out. Though the theories are fun to read about, I can’t vouch for the validity or accuracy of any of these sites. This search result examines eating habits in a very detailed and somewhat psychologically invasive way. This search result is definitely more of what I was looking for because it introduces the concept that we are how we eat. What does your eating personality say about you? I love the spice! Jalapeno peppers, spicy sausage, crushed red pepper! Yum. I guess the need for spicy food just circulates in my bloodstream after having been born and brought up in India. Although I don’t know what a “spicy” personality means…especially because I like to be nice and sweet to other people. hmm. I guess there’s a side to my personality I never explored! So funny how two different pizzas can say so much about two people. Yum. and a good way to think about all of this. And um, the dessert pizza sounds kind of awesome. The difference in the two pizzas is pretty hilarious. I have to say that mine would probably look at lot like your friends–I get a little OCD when it comes to chopping and dicing (it drives my mom insane). I guess that probably says something about my personality, haha. so did you end up making your own pizza dough? I always end up just buying the dough but want to try to make it! Since I started my full-time job, I would definitely say I’ve become an habitual/healthy eater (i.e., a not-so-strict feeding schedule of the same foods every week day). I hazard to guess this directly relates to my mild OCD. But if you know what works for you, why change it? P.S. that dessert pizza in the above comment sounds truly incredible. 1) If you still call it “Tivo,” is it still socially acceptable? 2) Downton Abbey has recently been introduced to me through my roommates, who have been sucked into watching an episode or five during any waking moment. During the few times that I have been present for this experience, I have been genuinely intrigued, but not fully sold (although Mary is quite the character). 3) Delicious pizza ingredients choice. It looks like your decision places you somewhere in between healthy and social, which seems like a good place to be.